Today I wrapped up Chocolate and Banana Theme Week with a single origin chocolate bar from Rogue Chocolatier (Three Rivers, MA). 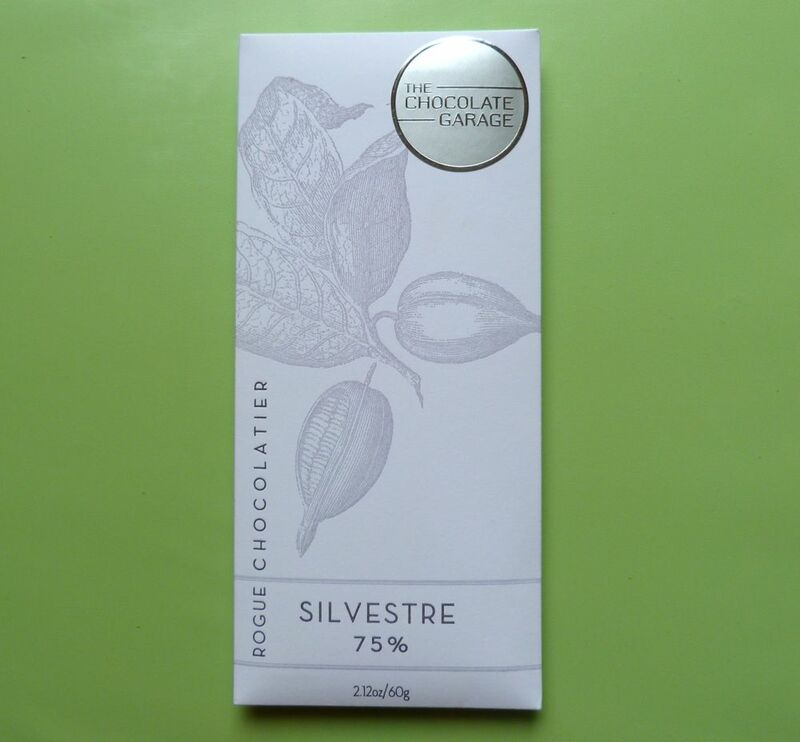 This Silvestre 75% cacao bar, made from rare, wild cacao harvested by "cacao hunters" in the Amazon Basin region, along Bolivia's Rio Beni. The bar was designed and hand-crafted, from bean to bar, by Colin Gasko, the head chocolate maker at Rogue Chocolatier. Like many higher end dark chocolate bars, it contained only a few ingredients. In this case two: cocoa beans and sugar. And, like many bars from a single region, there were flavor "notes" that were characteristic of the beans grown and fermented in that area of origin. There was no banana flavoring or bits in this bar. This bar had a subtle complex flavor arc that contained hints of implied flavor. 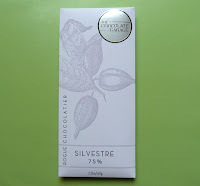 Colin listed plum, jasmine, banana and nuts as notes often associated with Silvestre cacao. The fruit acidic notes were akin to a deep plum flavor, and I did indeed pick up banana notes as well, especially with bars that were hot off the presses (newer, vs. stored for a longer period of time). Last time I looked on the Rogue website, they were down to the last batch of beans for this bar, so act fast if you're interested. As a general rule, dark chocolate bars can be kept in a cool, dark place, for months; however, while bars may still be good after this time, more volatile or delicate flavor components can attenuate over time. *Note: I participated in a Kickstarter (fund-raising) campaign in 2012 for new equipment/bar-making capability, in exchange for a number of limited edition chocolate bars that were subsequently produced and delivered.